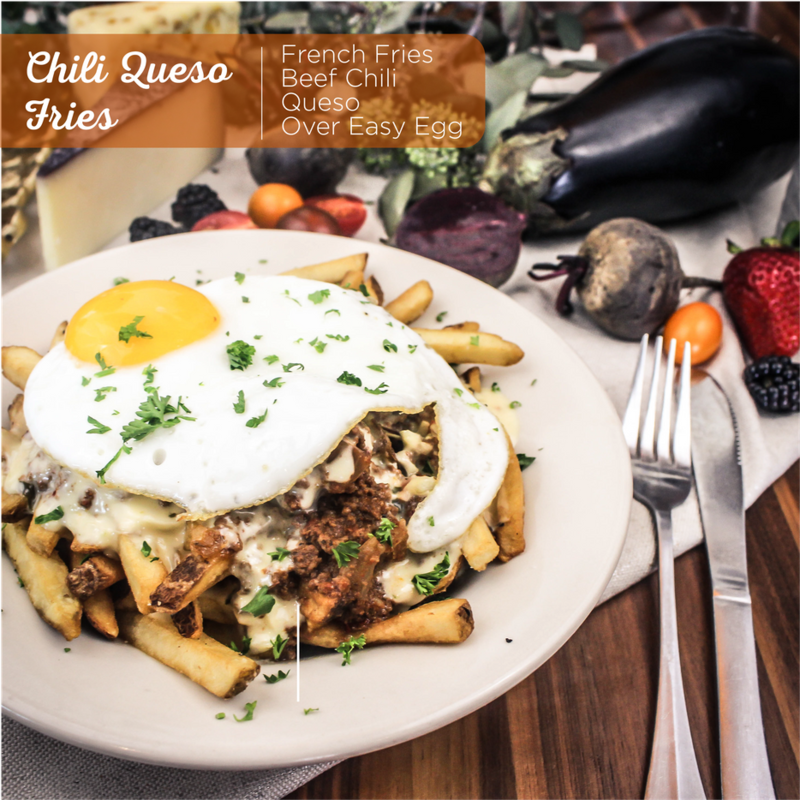 French Fries, Akaushi beef chili, Queso, sunny-side up egg, parsley garnish. 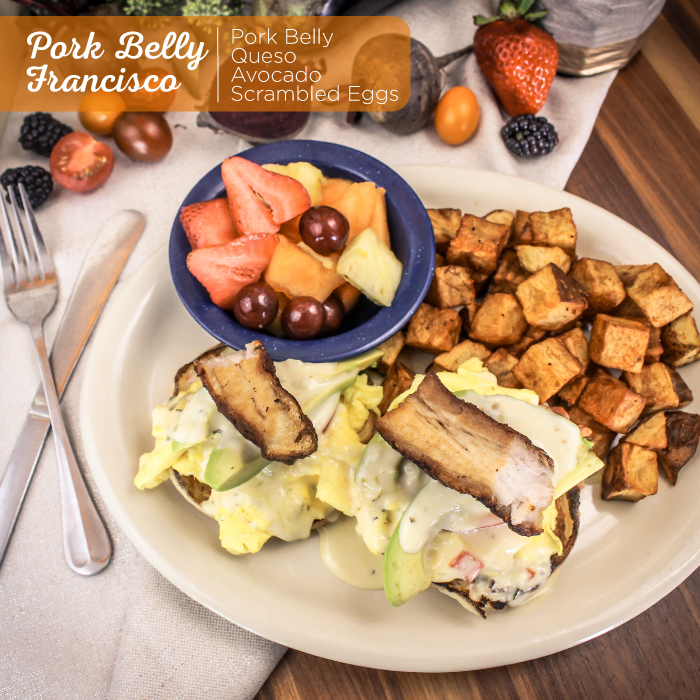 Pork belly, scrambled eggs, avocado, tomato, Queso, English muffin. Two Breakfast Sides. 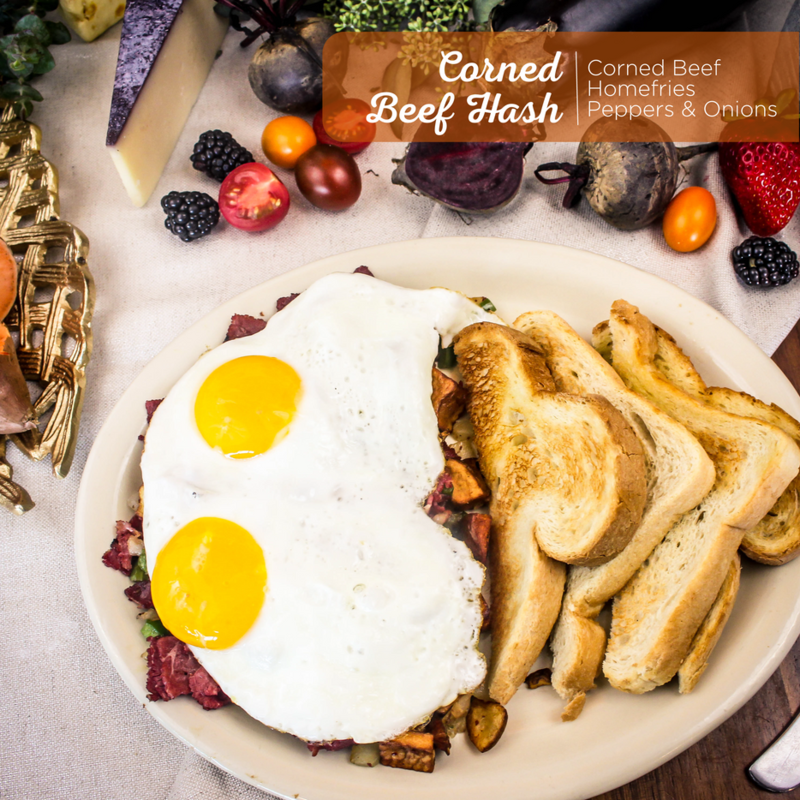 Corned beef, sunny-side up eggs, homefries, green peppers, white onion. Choice of toast. 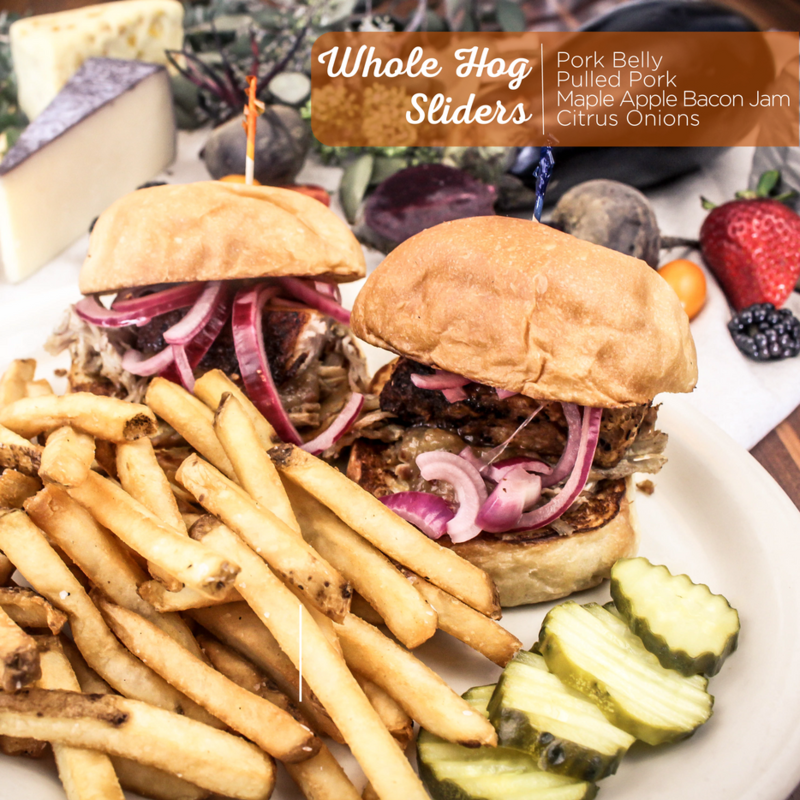 Pork belly, pulled pork, maple-apple bacon jam citrus marinated red onions, orange vinaigrette, dinner roll. French or Sweet Potato Fries. 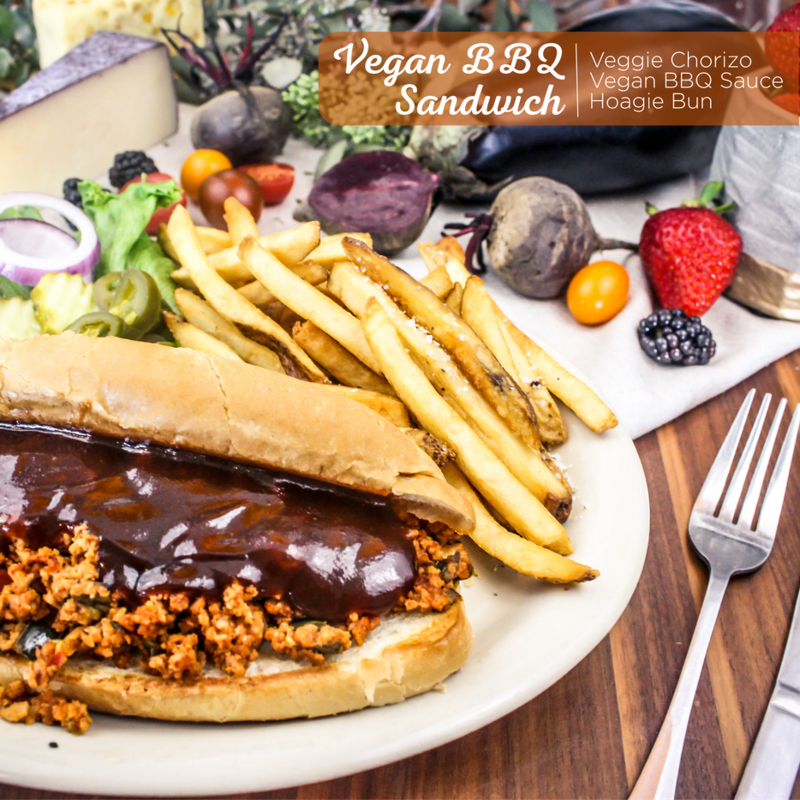 Veggie Chorizo, vegan BBQ sauce, vegan hoagie bun. Lettuce, pickles, red onion, pickled jalapenos. French or Sweet Potato Fries. 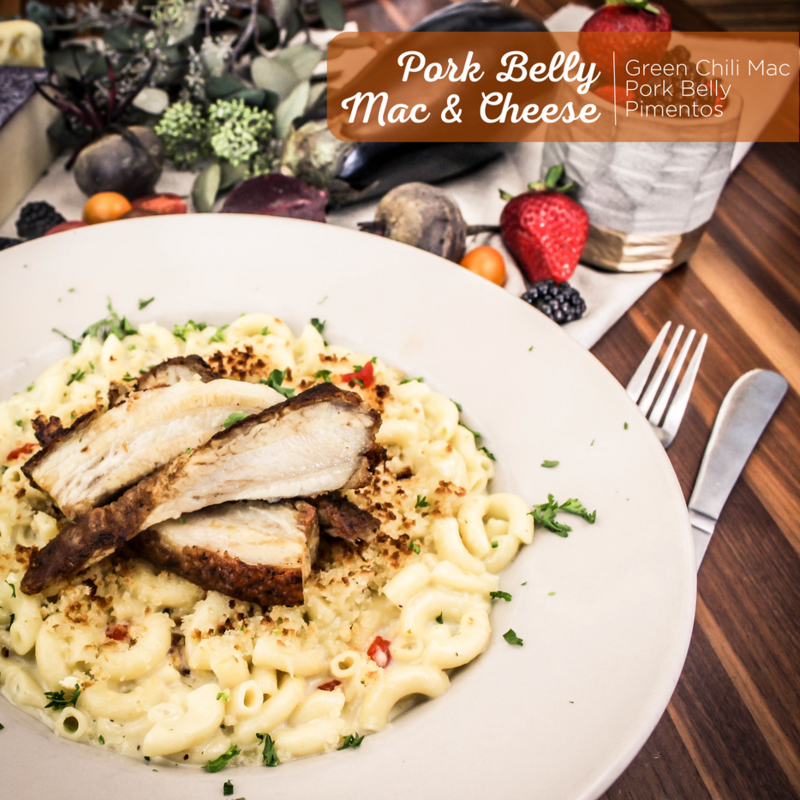 Green Chile Mac & Cheese, pork belly, pimentos, panko topping, parsley garnish. 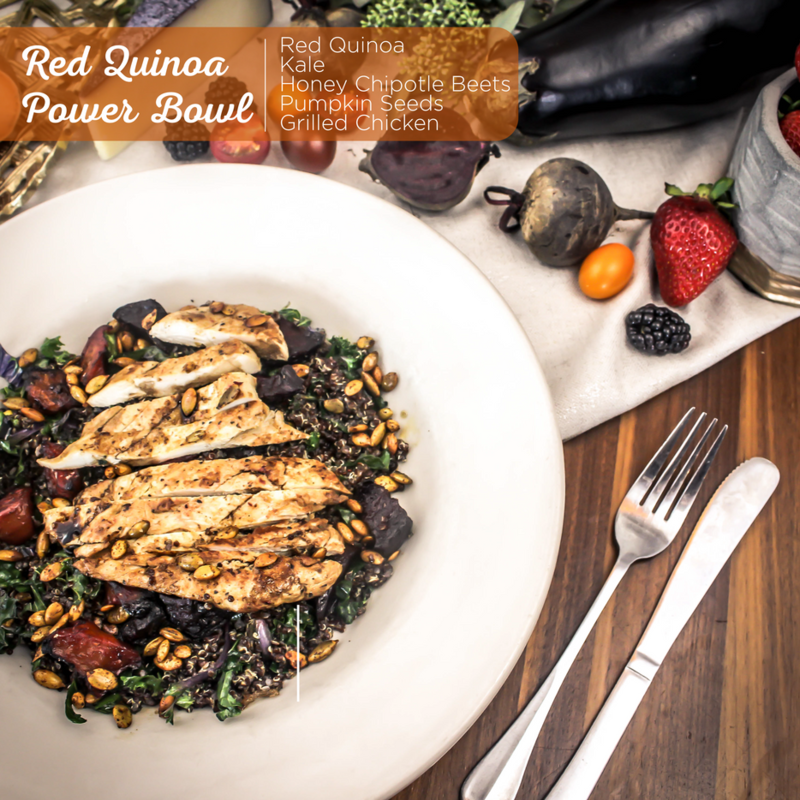 All-natural grilled chicken, quinoa & kale mix, chipotle honey roasted beets, balsamic reduction, pumpkin seeds. 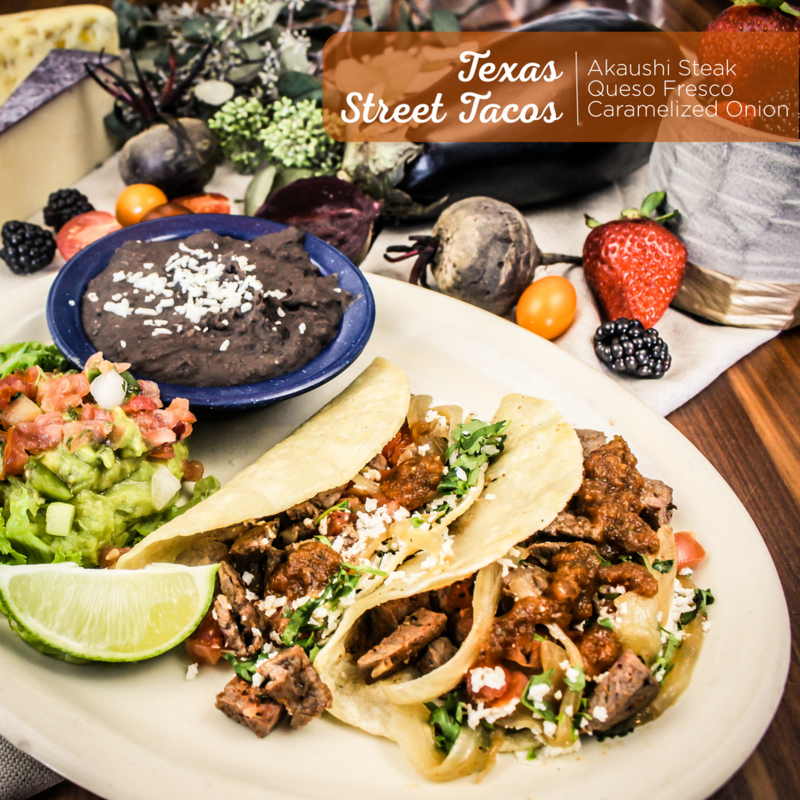 Texas Akaushi beef, caramelized onions, queso fresco, diced tomatoes, cilantro, corn tortilla. Guacamole salad, refried black beans. Chipotle or Verde sauce. 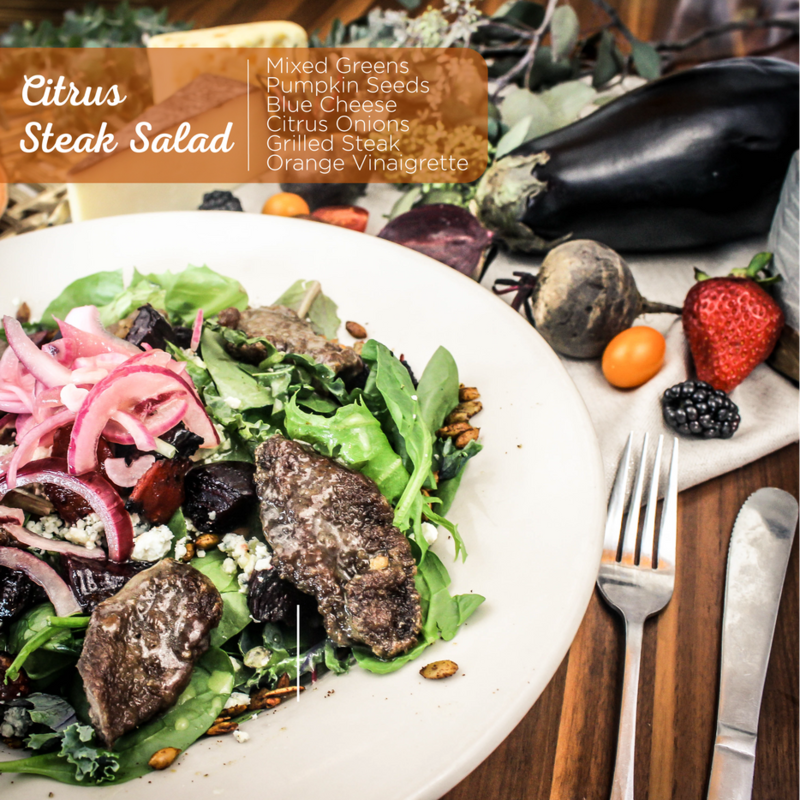 Greens, Akaushi beef, honey chipotle roasted beets, blue cheese crumbles, pumpkin seeds, citrus marinated onions, orange vinaigrette. The Fall Menu kicks off September 8th and runs through the end of the year. Stop by one of our seven Austin-area locations to try out an old Fall Menu favorite or any of the nine new items. *Due to poor pumpkin harvesting conditions in late 2015 and early 2016, there is a nationwide shortage of the pumpkin puree and pumpkin fillings that are used to make many pumpkin items, including our Pancakes and French Toast. For this reason, we will be postponing the launch of Pumpkin Pancakes and serving Pumpkin French Toast only while supplies allow. Our distributor has given us hope that the pumpkin stock will be replenished by mid-September.